Your vision is one of the most important senses you have, so you should do what you can to ensure that you see clearly at all times. Whether you require a comprehensive eye exam, contact lens fitting, a new pair of eye glasses or laser vision correction you can always trust our optometry office to provide you with what you need. Eye Examinations – Our comprehensive eye exams will not only provide you with a prescription for glasses and contact lenses. We also check your eyes for common eye diseases and assess how well your eyes work together for driving, reading, and when on the computer. A complete eye exam in an optical clinic can help detect troubling eye problems like glaucoma or the formation of cataracts in their early stages. Healthy adults should have their eyes examined every one to two years. People on medications that may affect the health of their eyes should have their eyes checked yearly or sometimes more often based on the recommendation of their eye doctor. Children should have their eyes examined at 6 months of age and then yearly from the age of three to ensure proper eyesight. According to the Canadian Association of Optometrists up to 25% of school aged children have a vision problem which may affect their ability to learn. Our office is an active participant in the Eye See Eye Learn program developed by the Ontario Association of Optometrists to ensure that all children entering junior kindergarten have a comprehensive eye exam and eye glasses if needed. Prescription Spectacles – Glasses are the most commonly used form of corrective eye wear. Not only do we take the time to make sure your prescription is accurate, we recommend the prescription lenses that are best for your required vision tasks. We are proud to offer an extensive selection of spectacle frames of various colours, shapes, and sizes. 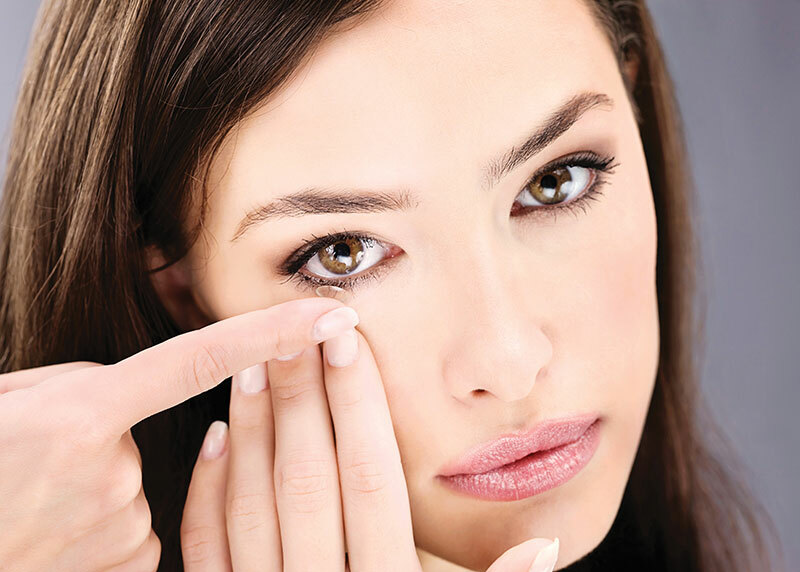 Contact Lenses – Our doctors fit all types of contact lenses such as soft, disposable, colored, rigid gas permeable, bifocal and astigmatism correcting. Once your contact lenses are fit properly we recommend the right care system for you and monitor your vision and eye health to ensure many years of successful contact lens wear. Laser Surgery Co-management – Laser vision correction surgery is a very safe and highly effective way to correct blurry vision for many people. For patients who are interested in this type of eye surgery, Drs. Bettio and Malchuk and Kathiravelu can refer you to some of the best surgeons in the area while taking care of your pre- and post-operative care. Our office holds a free TLC laser vision information night once every three months. Our patients can register to come in and ask questions and meet a TLC representative who will assess their suitability for laser corrective surgery. Many people say that the eyes are the “window to the soul”. That’s only one of the many reasons why you should strive for lifelong healthy eyes—and our full range of products and services can help you achieve that very goal. If you would like to schedule an appointment with one of our experienced optometrists, please do not hesitate to call us at (905) 951-3081. You may also request an appointment online. We have been proudly serving clients from Bolton, Caledon, Caledon East, Nobleton, Palgrave, Kleinburg, Orangeville, Brampton, Vaughan and surrounding areas, since 1994. If you are looking for for information, please feel free to contact us.